Please contact me for access to my most recent Demo Reel. I am a freelance artist. 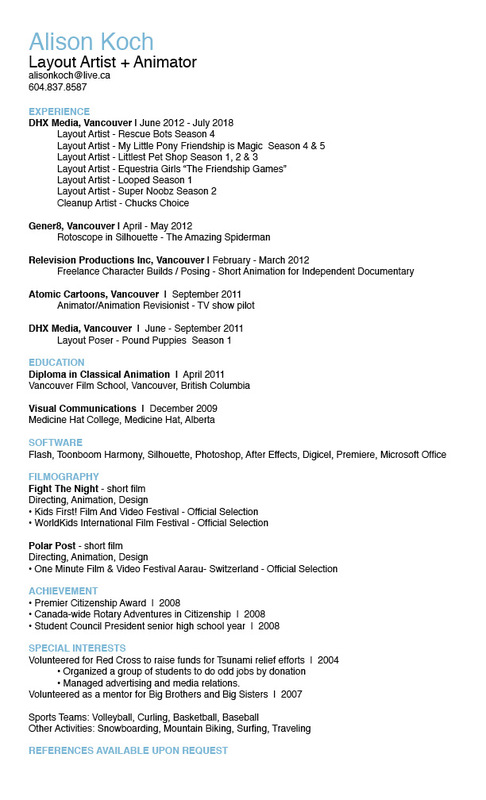 The majority of my experience has been with DHX Media as a layout artist on children's programming. Through-out my carrier I have been lucky enough to work at Atomic Cartoons as an Animator and Animation Revisionist; as well as Gener8 as a Rotoscope artist for "The Amazing Spiderman". I have a Diploma in Classical Animation (VFS) and a background in Visual Communications.